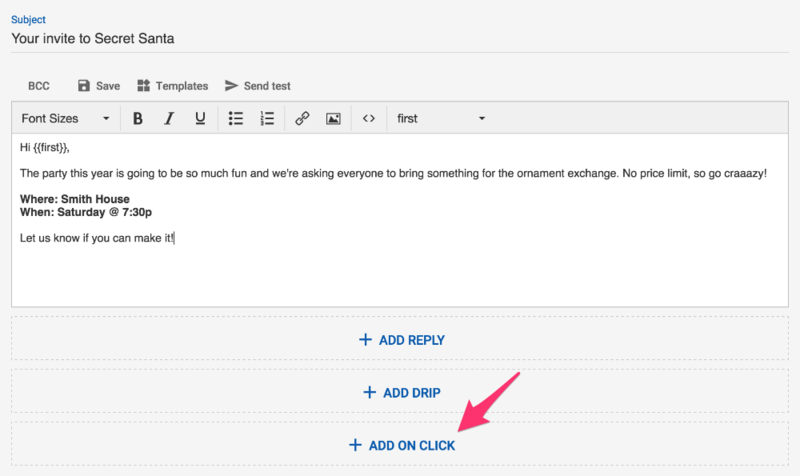 You can have emails get sent whenever people click on links in your emails (this includes links from your email signature). Note: this feature will not work if you disable link tracking. Emails that are sent as reactions to clicked links will work against any link in any message sent to your recipient for this campaign. This includes replies, drip emails, as well as the initial email. We could set up an email to go out when anyone clicks that link. Please be sure the link url matches exactly.